Architecture as imprint, as brand, as the new media of transformation--of places, communities, corporations, and people. Klingmann argues that architecture can use the concepts and methods of branding--not as a quick-and-easy selling tool for architects but as a strategic tool for economic and cultural transformation. Branding in architecture means the expression of identity, whether of an enterprise or a city; New York, Bilbao, and Shanghai have used architecture to enhance their images, generate economic growth, and elevate their positions in the global village. 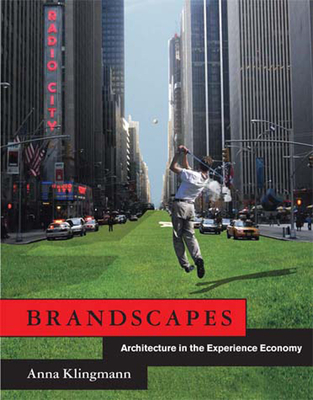 Klingmann looks at different kinds of brandscaping today, from Disneyland, Las Vegas, and Times Square--prototypes and case studies in branding--to Prada's superstar-architect-designed shopping epicenters and the banalities of Niketown. How can architects use branding as a means to differentiate places from the inside out--and not, as current development practices seem to dictate, from the outside in? When architecture brings together ecology, economics, and social well-being to help people and places regain self-sufficiency, writes Klingmann, it can be a catalyst for cultural and economic transformation.